In this article, we profile the 10 best ABA master’s degree programs in the East for 2018. While there are many reasons to earn a master’s in ABA, including research opportunities, the potential for peer-reviewed publications, and knowledge of advanced therapy development in autism, the key benefit is a promising career trajectory. In order to sit for the Board Certified Behavior Analysis (BCBA) exam, a minimum of an ABA master’s with regulated curriculum and BCBA course sequence is required. For the purpose of this list, we looked at approximately 40 ABA master’s degree programs. 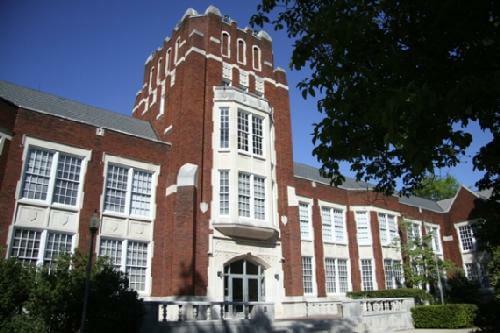 We sorted the programs by region and carefully examined the schools located in the East. From this pool of schools, we looked at programs that were accredited and prepared enrolled students to take the Board Certified Behavior Analyst (BCBA) certification examination. We gathered the graduate tuition and fees from the most recent information offered by the National Center for Education Statistics (College Navigator) and listed the schools by raw affordability. Below is our list of the 10 best ABA master’s programs in the East for 2018. 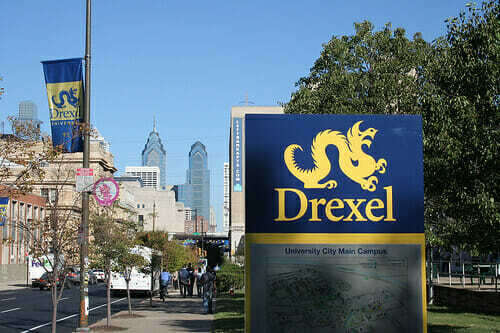 Drexel University’s online ABA master’s program is approved by the BACB. Drexel University offers accredited ABA master’s programs that have been approved by the Behavior Analyst Certification Board. This means that completing the program provides eligibility to take the Board Certified Behavior Analyst Examination. Also, this program offers an online option for working students. And for those interested in focusing their studies on autism, the program has a concentration in Autism Spectrum Disorders. Some of the classes offered include behavioral assessment and functional analysis, behavioral interventions, ethical considerations and professional conduct, fundamental elements of behavior change, and measurement and experimental design. The online degree offers the same faculty, curriculum, and research opportunities that Drexel’s on-campus ABA program offers. Florida Tech’s master’s in ABA program prepares students for PhD programs. Another top ABA master’s accredited program on our list is the master’s in ABA from Florida Institute of Technology. This traditional, on-campus program is designed to prepare students to take the BCBA certification examination. In fact, in 2016, the program boasted a 92% pass rate for certification. Coursework and curriculum focus on behavior analysis in functional relations between behavior and environmental events. For those interested, online options are available. Also, the program is designed for those interested in becoming board certified or pursuing further study to obtain a PhD at Florida Tech. Research opportunities are available and allow students to develop a portfolio of published work through organizations and research centers. 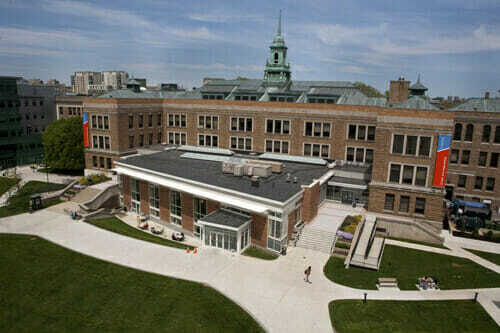 The ABA masters program from Simmons University requires no GRE for admission. Simmons University offers an ABA master’s accredited program that is available online. This highly esteemed degree program has won awards and received rankings from top publications. Also, the rigorous course sequence is approved by the Behavior Analysis Certification Board (BACB) and meets the requirements and standards for the BCBA examination. To apply to the program, applicants need not submit GRE scores. Letters of recommendation are required. Courses are taught by expert faculty who are members of nationally recognized organizations and dedicated to empowering students as leaders in the field. Simmons is ranked with U.S. News and World Report as the 14th best regional university in the North. The master’s in applied behavior analysis from University of Maryland requires the GRE for admission. The University of Maryland offers an ABA master’s accredited program that is accredited by the Association of Behavior Analysis International and is listed among the approved programs of the Behavior Analysis Certification Board. This means that students who complete the master’s program are qualified and prepared to sit for the BCBA certification examination. Application to the program requires a satisfactory undergraduate GPA, GRE scores, three letters of recommendation, and work experience related to applied behavior analysis. 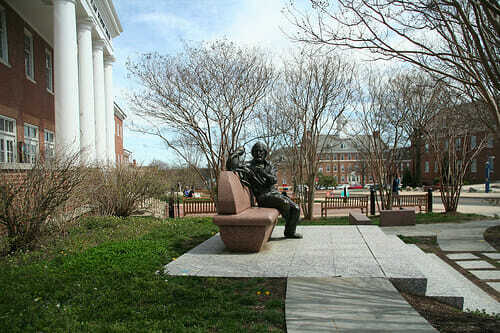 U.S. News and World Report recognizes University of Maryland as a top unranked school, although several of the university’s graduate schools and programs have received top rankings. 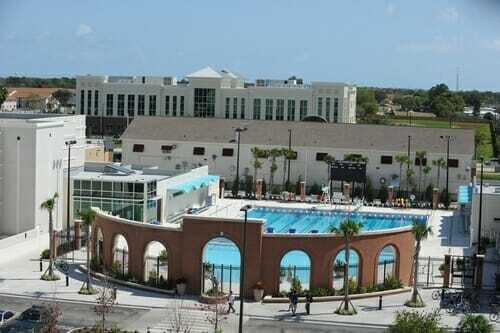 Florida State University’s master’s in ABA is one of the most affordable programs on our list. Florida State University’s ABA master’s programs include the master’s in psychology with applied behavior analysis specialization. This ABA degree program is one of the few accredited by the Association for Behavior Analysis International (ABAI), and the curriculum has been approved by the Behavior Analysis Certification Board (BACB). The program and school boast a certification pass rate of 95% in recent years. To be admitted to the program, applicants must submit official transcripts from all colleges attended, a personal statement, three letters of recommendation with at least two letters from faculty, and a completed resume. Courses include basic principles of behavior, behavior analysis in education, and experimental analysis of behavior. 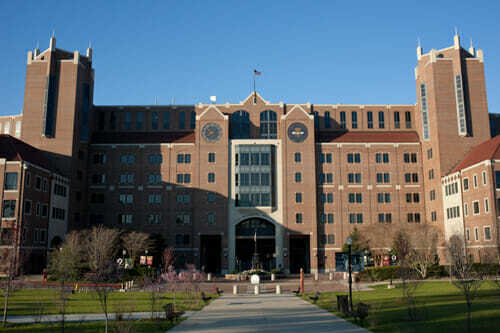 FSU is a top ranked school and recognized by major publications like U.S. News and World Report. Study autism and severe disabilities with an ABA master’s from Endicott College. 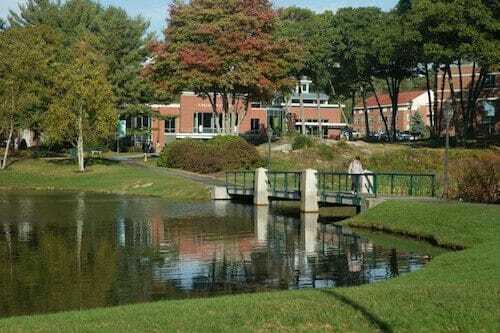 The Van Loan School at Endicott College offers a master’s in ABA with several certificate options and specialized areas of study like autism and severe disabilities. The curriculum and coursework meet the standards and requirements to sit for certification by the Behavior Analysis Certification Board as a Board Certified Behavior Analyst. Some of the required core courses include behavioral assessment, behavior change procedures and system supports, conceptual issues in applied behavior analysis, ethical issues in behavior analysis, and measurement and experimental evaluation of behavioral interventions. Endicott is ranked by U.S. News and World Report as the 34th best regional university in the North and 61st best value school. The ABA master’s program from University of South Florida is ranked and accredited. University of South Florida’s ABA master’s programs are designed to meet the needs in Florida and beyond for experienced practitioners who can work in fields like autism, child protective services, developmental disabilities, and mental health. To apply to the master’s in ABA, candidates must hold a bachelor’s degree with a minimum GPA of a 3.0 from a regionally accredited institution and have a background in ABA (either in coursework or experience). GRE scores, letters of recommendation, and career goal compatibility are also required. University of South Florida is ranked by U.S. News and World Report as the 140th best national university and 81st best value school in the country. Preparation for the BCBA exam – Jacksonville State University’s ABA master’s. Jacksonville State University offers an ABA master’s accredited program that is designed for students interested in pursuing certification. The master’s in psychology is much like the master’s in ABA, offering a track that allows students to take classes designed for preparation for the BCBA exam. In fact, the course sequence meets the standards of the Behavior Analyst Certification Board, and the program is accredited by the Association for Behavior Analysis International Accreditation Board. Classes emphasize the application of psychological principles and research and practice in real world situations. Major publications like U.S. News and World Report rank Jacksonville State as the 89th best regional university in the South and the 34th top public school. 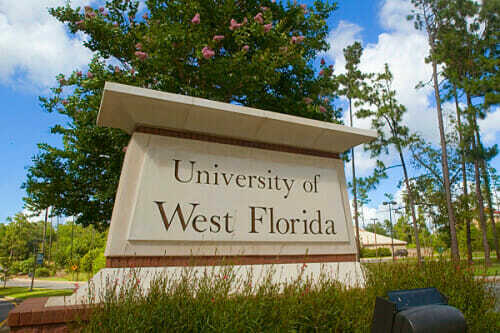 University of West Florida offers an affordable master’s in applied behavior analysis. One of the most affordable ABA master’s programs on our list of best in the East is offered by University of West Florida. This accredited master’s in ABA offers a BCBA-verified course sequence and is even available online so that busy or working students may earn their advanced degree. Cohorts begin at several times each year, and students receive the same kind of interaction with peers and professors as their on-campus colleagues. Some of the courses offered include advanced single case design, behavior assessments and interventions, foundations of applied behavior analysis, measurement in single case design, and positive behavior supports and systems. U.S. News and World Report ranks University of West Florida as a top national university, and several of the school’s online graduate programs and traditional graduate programs have also received top rankings. The #1 most affordable ABA master’s program is offered by McNeese State University. 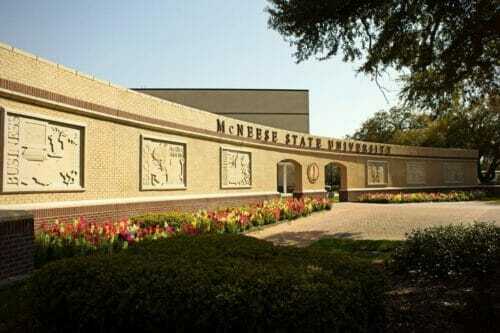 The most affordable ABA master’s programs on our list is offered from McNeese State University. The program has been approved by the Behavior Analysis Certification Board, and the on-campus program has been accredited by the Association for Behavior Analysis International. Also, this is an ABA program that provides the academic training and supervised experience necessary for eligibility to sit for the BCBA exam. Application for admission requires a satisfactory undergraduate GPA and qualifying GRE scores. Research and practicum experiences are also part of the program and help prepare students with hands-on study that is helpful outside of academia. Major publications like U.S. News and World Report rank McNeese State as the 104th best regional university in the South and the 43rd top public school. This concludes our list of the 10 best ABA master’s programs in the East.